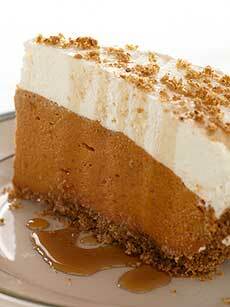 This easy and delicious Pumpkin Chiffon Pie will wow all of your guests for Thanksgiving. It is part of our family tradition which we at C.W. Worth House would like to share with you. Beat egg whites, 1/4 t salt, and 1/2 cup sugar until stiff. Fold pumpkin mixture into egg whites mixture. Refrigerate for several hours or overnight. Top with whipped cream and serve.